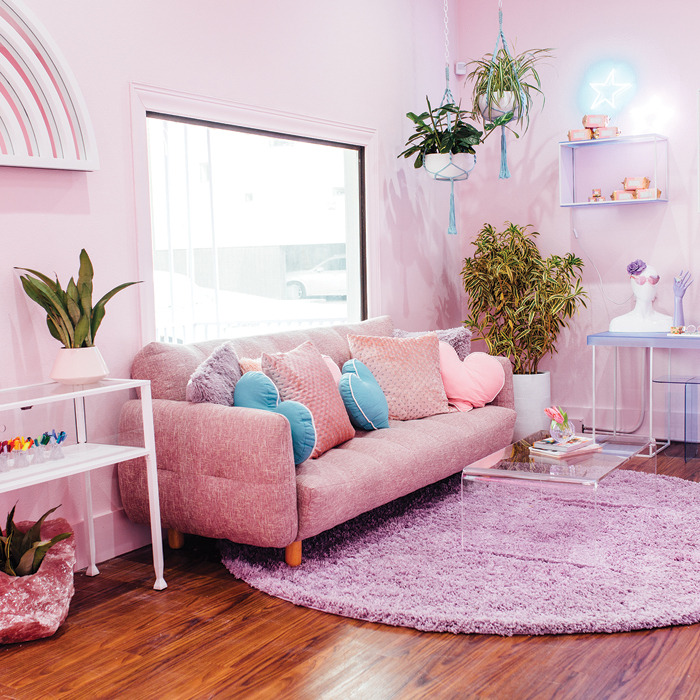 Cute Nail Studio owners Jason Darling and Maria Russo invite Nailpro to experience their rainbow-bright nail studio. We’re an experience in color as soon as you pull into our parking lot. Everything is focused on rainbow, glitter and art. We believe in putting art front and center, so our nail studio is adorned with murals and decals from some amazing artists. 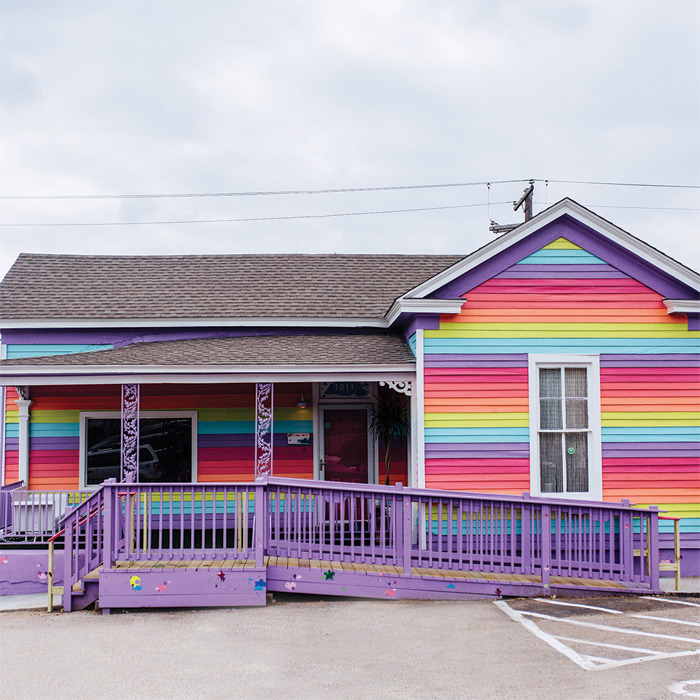 We hired Unhinged Studio, a local interior design firm here in Austin, Texas, to make all of our rainbow dreams come true. The neighborhood of East Austin has really made itself into a hip place with adorable hostels and bars, so we’re glad that we stand out and grab people’s attention. Also, we have the most amazing bathroom in the city. 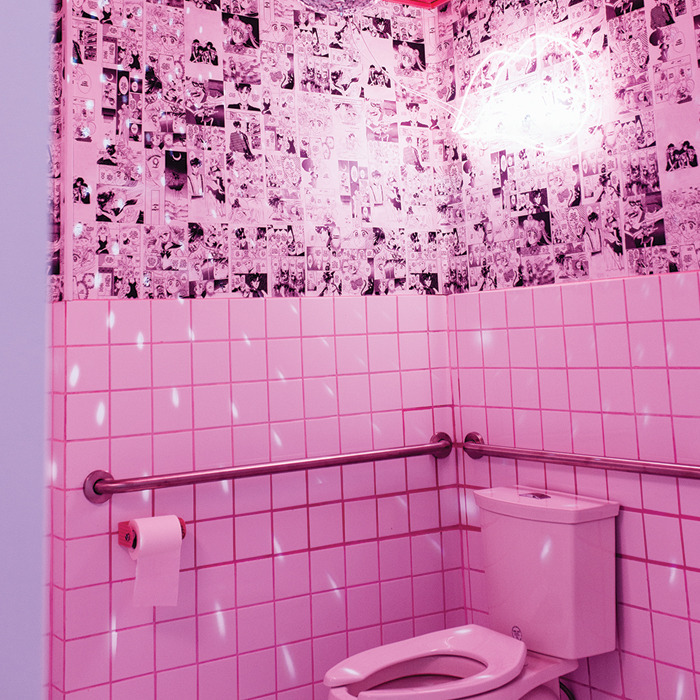 It’s 100-percent pink from top to bottom (including the toilet) with a disco ball light hanging from the ceiling! Clients spend an average of $75 on services. Since we’re very art focused, our nail services are more art driven. We’ll paint the Sistine Chapel on your extensions, but we don’t offer hand massages. Our most popular service is a gel manicure with simple nail art, which includes nail and cuticle care and simple art, like dots, French tips, glitter gradient and decals. This service starts at $65 and increases based on the nail art that’s chosen; clients typically spend about $105. We also offer waxing and eyebrow services. Another unique service to Cute Nail Studio is our Tooth Gem Application. Clients can have a Twinkles gem adhered to their tooth for $60; they can choose from hearts, stars and even dolphins! We use Japanese gels, such as Vetro and Kokoist, as we’ve found that they work the best for art. Our lacquer selection is Floss Gloss, which is both local and female owned! 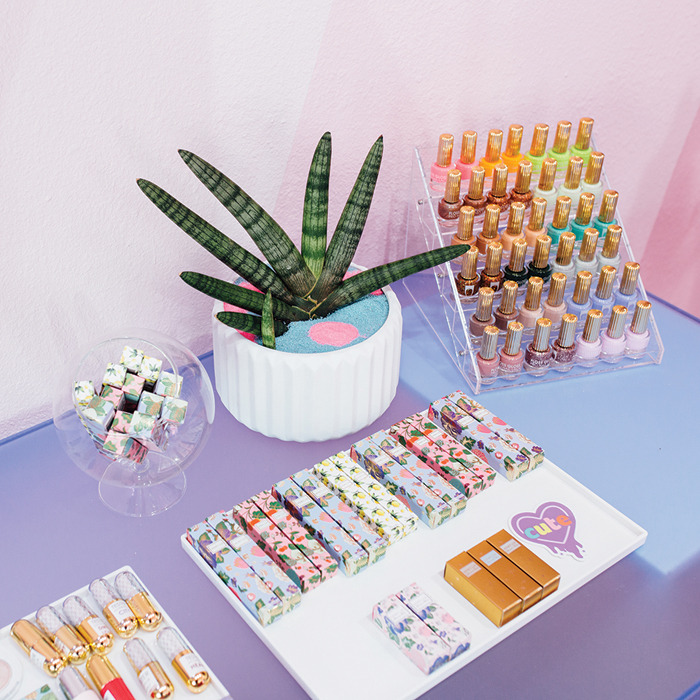 Opening and co-owning Cute Nail Studio. Making people laugh and things that are whimsical and full of wonder. What was the biggest mistake you made when opening Cute Nail Studio? Purchasing salon furniture off of Amazon without being able to see it and feel the quality of the product. 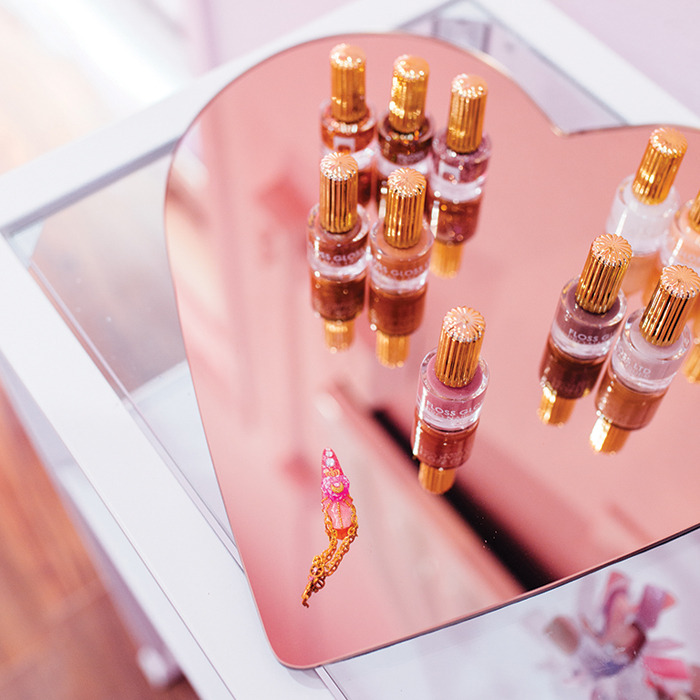 What did you most recently splurge on for your salon? An inverted neon cross for our bathroom. I just flirt a lot and see what happens. Grabbing the person’s hand, touching her nails and telling her to come into the studio so I can hook her up!